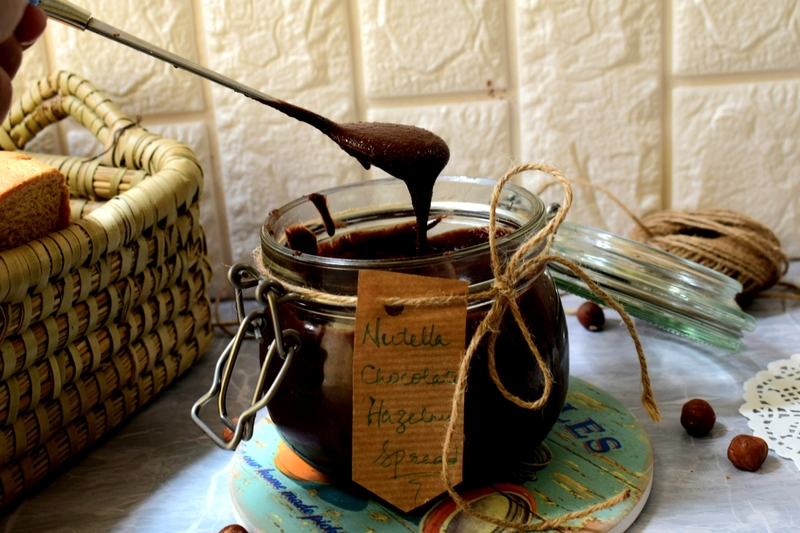 Nutella is one such crazy thing among kids that got addictive! Why only kids, even we adults go crazy for it isn’t it? 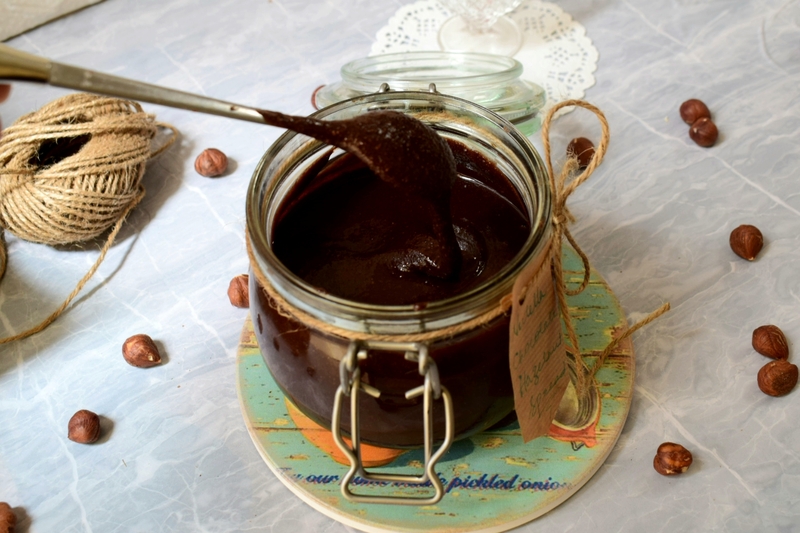 This homemade Chocolate Hazelnut spread is lip-smackingly good that you can’t stop licking your spoon. The spread we make at home is not that smooth like we get from stores, but the taste I guarantee. I felt like I’m having the melted version of real Ferrero chocolate. Yes, whatever way you like it you can have it. You can make 2ingredient Nutella mousse, crepes, sandwich with bananas and nutella and much more. I used brown sugar here and also it was not too sweet, but i’m damn sure it is addictive and delicious! 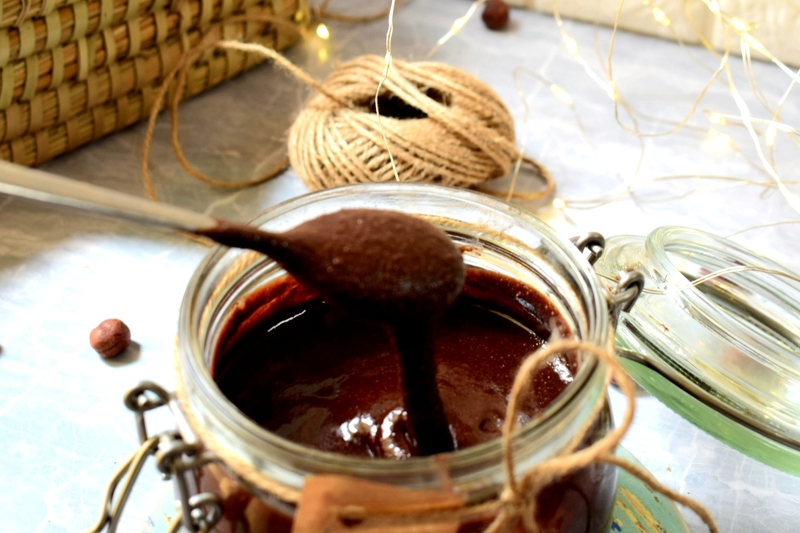 You can feed 2 or 3 spoons full of this homemade goodness to your kids, without any worries! I used to have it every now and then when I open the refrigerator, hehe! 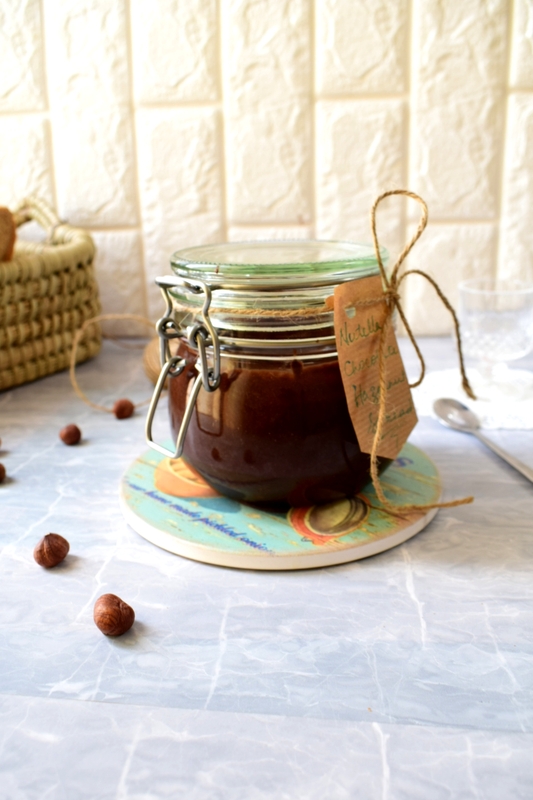 There are various recipes for homemade Nutella on the internet, let’s check out my version of it! In a food processor add in the hazelnut and blend it until you get thick nut butter. The nut will release oil and it will become thick paste-like consistency. It will take about 3 to 4 minutes. When its thick paste-like consistency, you still can find some nut lumps that we can’t help, but try to blend it as fine as possible. Then add cocoa, powdered sugar and salt start to blend it again. 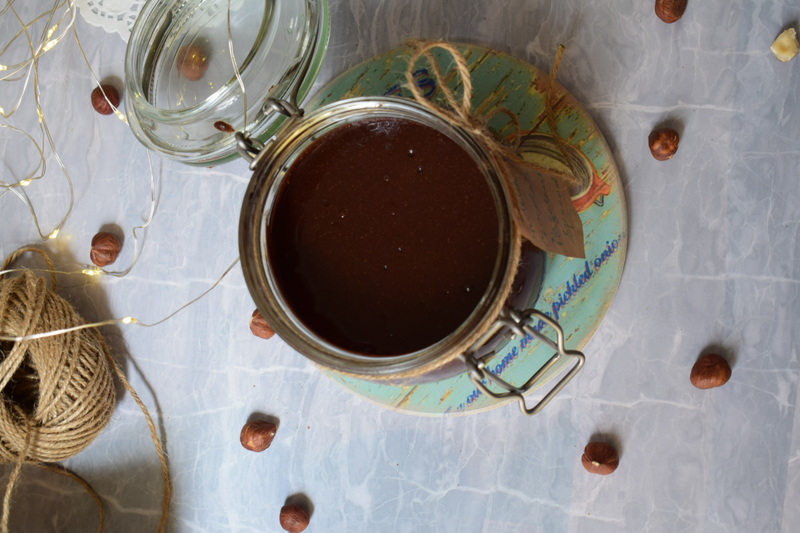 !Add oil and then blend it to a smooth fine chocolate spread. Note: If you still find its too dry add few more tbsp oil and make it smooth. 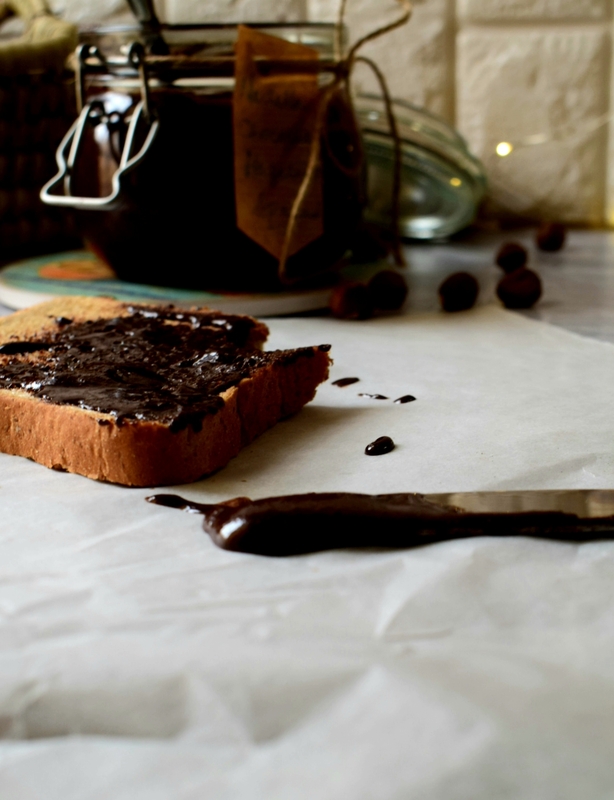 For toasting, hazelnut spread it on a baking tray and bake it for 15 minutes on 180 degrees preheated oven. Then transfer it to a kitchen towel and fold and rub it well with your hands to remove the skin. 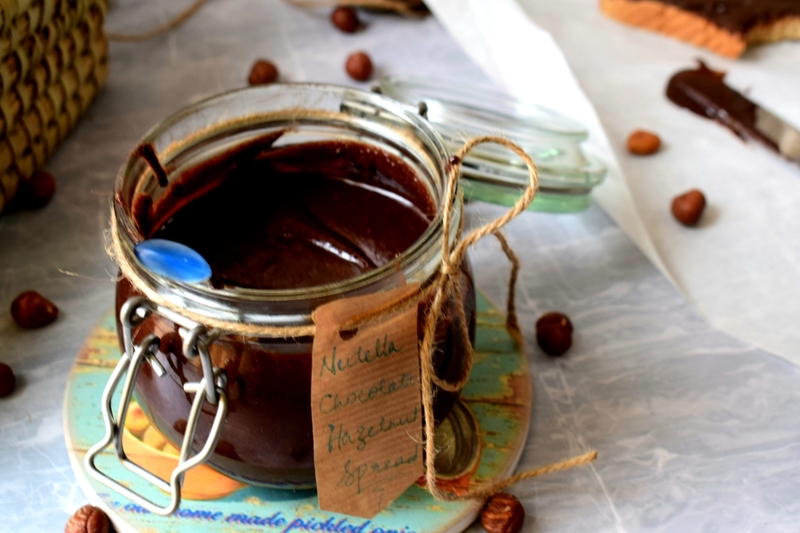 So here your dreamy, chocolatey hazelnut spread ready within 10minutes. In some recipes, they are also using melted chocolate too.